These television series have all recently come back for a reboot, but did you know you can check out the original seasons here at the library in our DVD “television show” section? If you’re looking to see how it all began, visit us on the second floor! 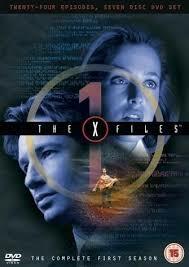 It was in 1993 that fans first met FBI special agents Mulder and Scully, and were quickly caught up in their pursuit of the paranormal and extraterrestrial on the sci-fi series, The X-Files. In the first season we see the origins of their relationship and reason why they grow to trust only each other and a select few more. The truth is out there, and the prior seasons are in here, at the library. With its lofty influence on the cultural zeitgeist of the late 20th century, it’s hard to believe Twin Peaks only lasted two seasons, from 1990 to 1991, with the feature film Fire Walk with Me released in 1992. 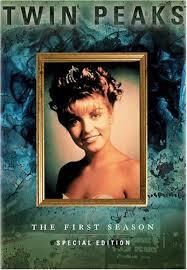 The dark and mysterious happenings in the small town of Twin Peaks, Washington, were introduced through the finding of a corpse belonging to Homecoming Queen Laura Palmer. Her disoriented and amnesic friend is found wounded nearby. What happened to the girls and what is going on in the town? Start to piece together the clues by checking out season one. The turn of the 21st century brought the mother-daughter drama The Gilmore Girls to the small screen. 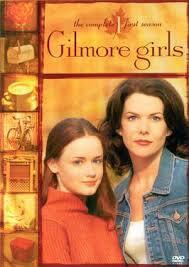 The debut of mother Lorelai Gilmore and her daughter Rory, came in October 2000 and lasted seven seasons. The show explores the relationship between the precocious and academic Rory and the easygoing Lorelai, who became Rory’s mom when she was just 16 years old. This closeness in age adds an element of sisterhood to their relationship, with Rory sometimes assuming a more grown-up role in their close dynamic. Although not exactly following up where the previous series ended, these current editions to long running series aim for much of the same charm and allure of their predecessors. How do they match up to these originals? Dr. Who started nearly fifty-five years ago. The first Doctor, played by William Hartnell, introduced the TARDIS, the spaceship that can transport through time and looks like a British police phone booth. This passport to other times and other worlds takes Dr. Who and his companions through many engaging and sometimes dangerous adventures. 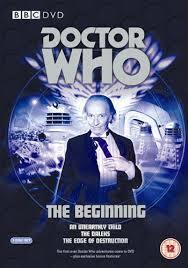 Unfortunately not all of the episodes have survived, but most have, including the very first episodes that premiered in 1963, They are at the library titled Doctor Who: The Beginning. 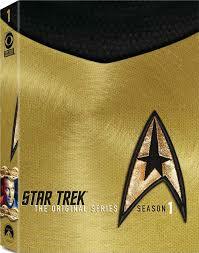 Star Trek: The Original Series was first broadcast on television in 1966. It was viewers first chance to meet the crew of the starship Enterprise, with Captain Kirk, First Officer Spock, and Chief Medical Officer Leonard McCoy at the helm. This crew charted exciting inter-space courses and led its watchers to new planets, new beings and new societies throughout the Milky Way, (all while predicting a tremendous number of advancements that wouldn’t become reality for several decades.) Many subsequent series have come forth from this show, with no limit to the episodes’ plots, save human imagination.